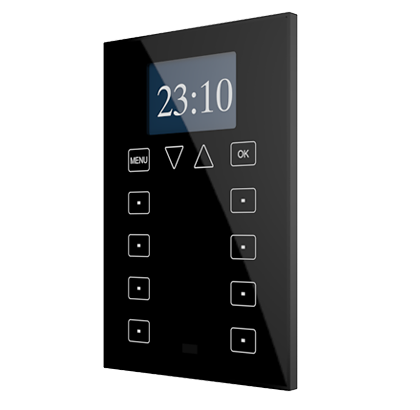 ZAS Touch controller is a great solution for demanding applications in hotel rooms and apartments. 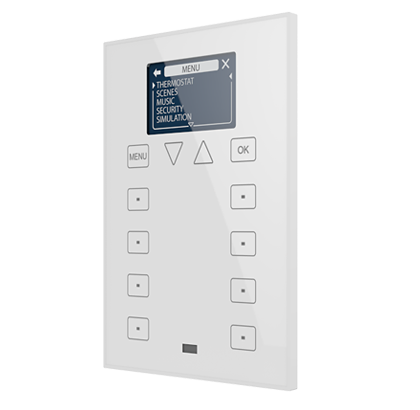 ZAS is able to manage climate, audio, shutters, lights… and all through an intuitive and modern touch panel. 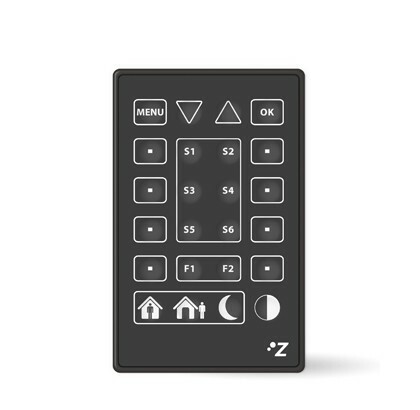 ZAS includes an infrared receiver that allows controlling the functionality from a distance, as well as a temperature sensor and thermostat function.. At the rear, ZAS has two digital/analog inputs that allow the connection of additional temperature probes or switches/sensors. Available colors: black, silver and white. 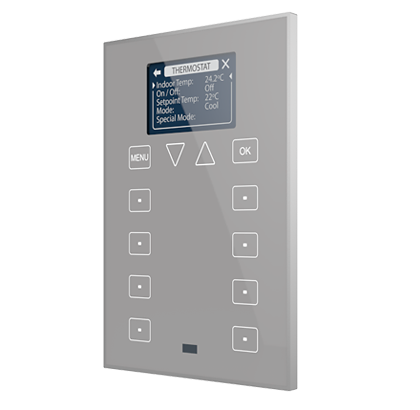 Optional IR remote control.